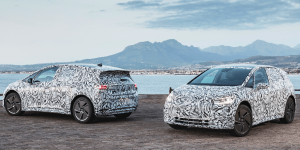 The basic version of the VW ID.3 is expected to run on a 48 kWh battery and will probably cost 29,990 euros, but is not yet ready for launch. A launch edition of Volkswagen’s first MEB electric car can be pre-ordered from 8 May onwards. 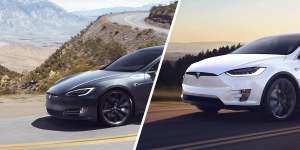 Now it’s official: Tesla has revised its premium vehicles Model S and Model X and is now offering both cars with a more efficient powertrain, which among other things, gets around ten per cent more range from the same 100 kWh battery. 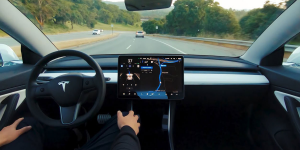 Tesla presented its latest take at autonomous driving at its “Autonomy Day” and will install the Autopilot technology in all new vehicles with immediate effect. Utilising it, Tesla plans to launch its peer-to-peer “Robotaxi” service as early as next year, provided the authorities allow it. What looks like a Porsche 911 and is all-electric? Well, that would be the GT3 study that the Chinese car brand Zedriv presented at Auto Shanghai. Despite the fact that Porsche will soon release their all-electric Taycan and the Macan, they are clearly too slow off the mark with an electric version of their 911. 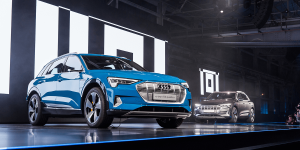 Audi has reduced the e-tron production target for this year at its Brussels plant by more than 10,000 units to 45,242 units, due to supply issues. Also, production of Audi’s second electric model, the e-tron Sportback, is to be postponed until 2020. At Auto Shanghai, supplier Continental is showing an extensive portfolio of solutions for electric mobility in China. Conti plans to significantly expand its production capacities in the Chinese cities of Tianjin and Changzhou in the coming years accordingly. 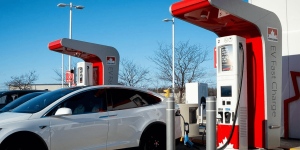 The Canadian government has clarified the subsidy policy for electric vehicles further ahead of the start on 1 May 2019. Eligibility depends on list price and the number of seats and also the range in the case of plug-in hybrids. Daimler executives have confirmed new models at the auto shows in New York and Shanghai. 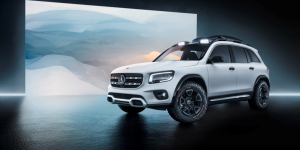 Mercedes-Benz will launch the new compact SUV GLB in 2021 and turn it into a fully electric car called EQB at the same time. 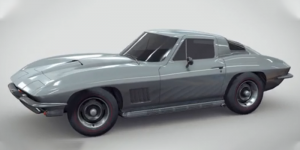 The carmaker also presented a special edition of its EQC EV. 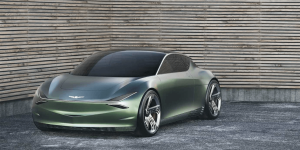 Hyundai’s premium branch Genesis presents a fully electric car called Mint Concept ahead of the New York Auto Show. The two-seater has a lavish interior and an extravagant yet tiny rear cargo space you can access through gullwing doors. 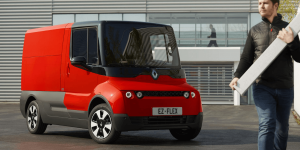 Renault presents the EZ-Flex, a demonstrator for last mile city logistics. 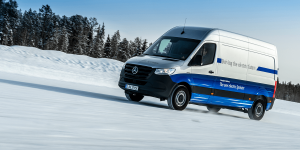 The agile and all-electric light commercial vehicle is on its way to companies throughout Europe who will use the e-van for two years in a sensible trial. 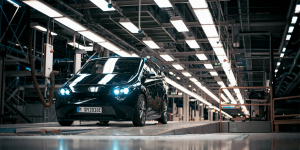 Solar electric car startup Sono Motors announces the European production partner for the first Sion EV. 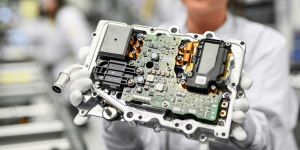 National Electric Vehicle Sweden (NEVS) takes charge of manufacturing at the Trollhättan-site from mid-2020. Audi is now presenting its third “vision vehicle” after the AIcon and the PB18 at Auto Shanghai. 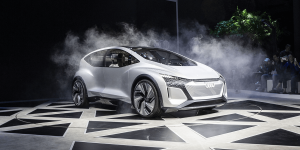 The autonomous city electric car called AI:ME accompanies the series version of the fully electric Q2 L e-Tron for the Chinese market, which also debuts at the trade fair. 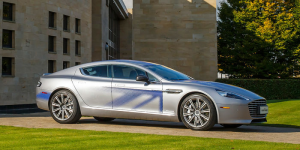 Aston Martin CEO, Marek Reichman, took to the stage at Auto Shanghai to reveal his company’s first fully electric model, the Rapid E. The zero-emission luxury car is to have a strictly limited production run of 155 units and will be delivered to customers later this year. 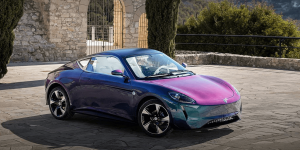 The Irish startup Electrifi is investing 50 million euros over the next three years to convert classic luxury cars into electric vehicles using Tesla components. 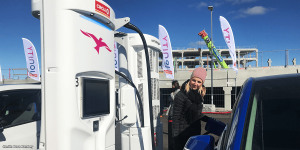 Yet, Electrifi is working on a range of more affordable electric cars for 2020 as well. 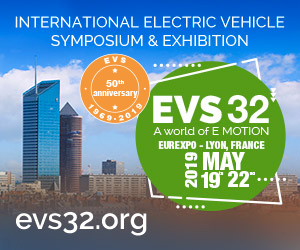 The latest report by the Center of Automotive Management (CAM) forecasts electric vehicle sales to continue to gain momentum in 2019 – despite a decline in the overall number of car registrations. 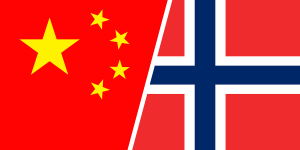 China and Norway remain the drivers and exceptions of the global trend. 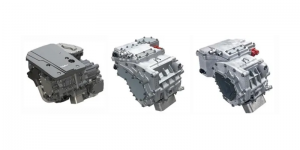 Electric motor maker Nidec of Japan has presented two new versions of its e-axle. In addition to the 150 kW version from 2018, variants with 100 and 70 kW are now being added. Both the newer and previous versions combine electric motor, gearbox and inverter. 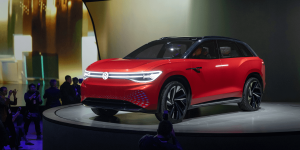 In the run-up to the Shanghai Auto Show, Volkswagen has presented a large all-electric SUV with three rows of seats called the ID. Roomzz – the latest member of its all-electric ID. family. The series version of the electric car will be launched in China from 2021. 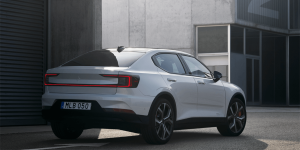 Volvo’s wholly electrified performance label Polestar disclosed where it will build the Polestar 2 EV in China. 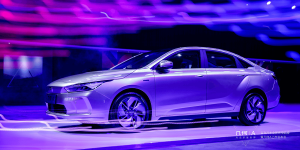 The all-electric model will roll off the assembly line in Luqiao, Zhejiang Province, China, at the beginning of 2020. Meanwhile, Norway will see the first concept store opening. The Tesla Model 3 is now available in Europe and China with rear-wheel drive and the Standard Plus battery version. 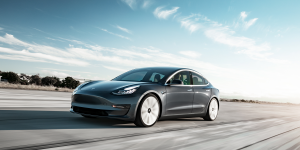 In Germany, Tesla is charging a base price of 44,500 euros (plus a handling fee of 980 euros) for this version, which offers a WLTP range of 415 km. 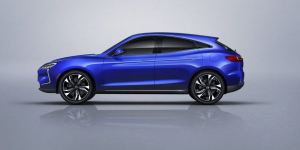 Geely has introduced its first fully electric car brand, named Geometry, alongside its first model Geometry A. By the year 2025, ten electric models will be launched under the new brand in several segments, including sedans, SUVs and vans. The US-Chinese manufacturer will present the serial version of its compact electric SUV SF5 first shown in 2018. It will run under the Seres label from the third quarter of 2019 with pre-orders to start at the Auto Shanghai. Volkswagen is reportedly considering the purchase of a large stake in their Chinese joint venture partner JAC and has engaged Goldman Sachs as consultant for this purpose. 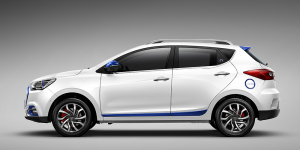 Last year, VW and JAC founded the electric car brand SOL in China. 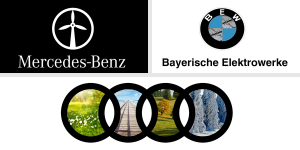 Mercedes-Benz has received a major order from the ESWE public transport operator in Wiesbaden for the electric city bus eCitaro. 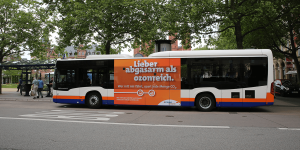 The local transport company of the Hessian capital ordered a total of 56 units of the electric bus, which is manufactured in Mannheim. 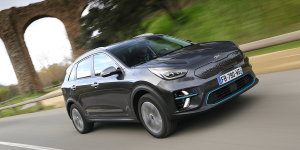 Kia is reportedly considering producing their own electric cars in Europe to reduce delivery times. European customers have been facing delivery delays and have to cope with a waiting period of more than a year for the e-Niro for example. A former General Motors car factory in the South Korean city of Gunsan is to become a production site for electric cars. 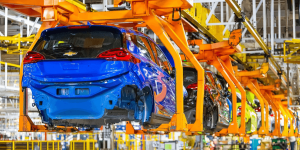 The Korean component manufacturer MS Autotech bought the plant for the equivalent of almost 100 million dollars to manufacture on behalf of several OEMs. 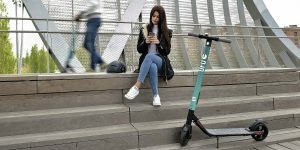 Seat has sold more than 5,000 units of its eXS electric kick scooter, which was developed in collaboration with Segway, and is now entering into a strategic partnership with the startup UFO to make 530 of its electric pedal scooters available to the public in Madrid via an app. 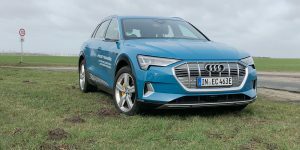 After Audi began deliveries of the all-electric e-tron to customers in Europe in March, the German luxury car giant is now able to reveal its first distribution figures. According to these, most e-trons have so far gone to Germany (490) and Norway (621). 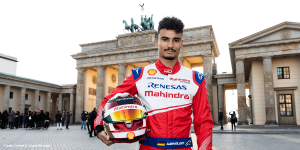 On the 1 April just past, the reins of the BMW Mini brand were handed over to Bernd Körber (44), who was previously responsible for strategy and management at BMW. 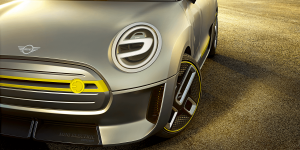 Körber succeeds Sebastian Mackens at Mini and will lead the brand “towards an electric, dynamic and urban future”. 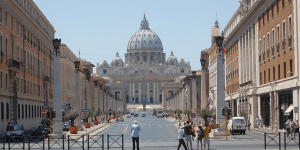 The previously announced subsidies from the Italian government for electric and hybrid vehicles can now be applied for. The budget for this year is 60 million euros and will increase to 70 million euros in 2020 and 2021. 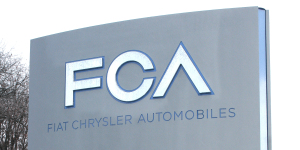 In order to meet the incoming EU emissions regulations, the U.S. manufacturer Fiat Chrysler is reportedly paying hundreds of millions of euros to Tesla, so that they can technically be calculated as “their” BEVs. and free of charge. Made in Germany! Yes I accept the privacy terms. were sold in China this March, surging 99% compared with the same period a year ago. publish every workday since 2015.